SportTrek lightweight travel trailers were created from the ground up using a rather unique philosophy in this industry; design units the way you’d want to camp in them! They were designed by campers for campers. Our product managers, engineers and sales staff and families all actively enjoy the great outdoors and constantly use our products, thus making them the best, most practical, affordable, most funnest choice in RVing, bar none! 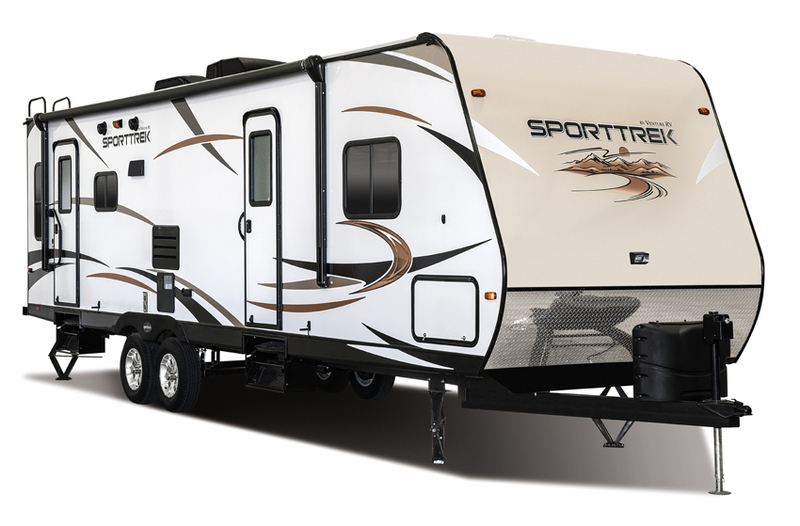 SportTreks are engineered with many original features and floorplans, including the 323VFL, offering the industry’s first fifth wheel inspired front living room in a lightweight travel trailer, as well as the 312VBH bunkhouse, which sleeps nine in the bunkroom and six additional, totaling 15! Venture’s line of Sonic ultra-lightweight, tandom-axle travel trailers is designed for today’s smaller tow vehicles and families on the go. 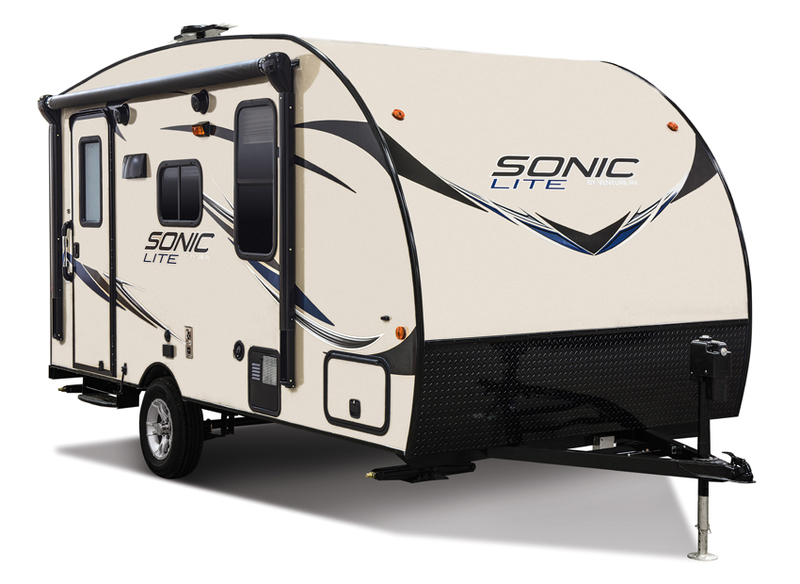 Although Sonic is lite on weight, it’s certainly not basic, and its amenities compete head to head with many motorhomes.